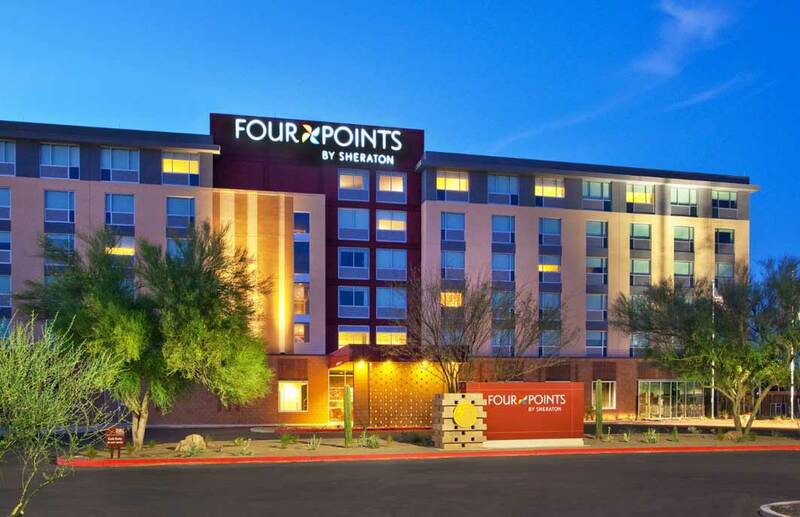 The Four Points by Sheraton at Phoenix Mesa Gateway Airport is a 74,000 square foot, 134 key, six story hotel that is owned by the Gila River Indian Community (GRIC) and developed by the Wild Horse Pass Development Authority. The hotel is managed by Starwood and flies under the Four Points by Sheraton flag. In addition to being the largest hotel to serve the ever expanding Phoenix Mesa Gateway Airport, the hotel is also located in the heart of the City of Mesa’s Power Knowledge Corridor, which includes institutions of higher learning, university research centers, and world-class aerospace/aviation technology facilities at ASU’s Polytechnic Campus and East Valley Institute of Technology Campus. The hotel is the key anchor of the Toka Sticks development, and includes an expanded bar & restaurant with outdoor patio, private dining, oversize fitness room, outdoor pool and pool deck, and 2,000 square feet of meeting space and spacious outdoor event space. The historical 160 acre Toka Sticks 18-hole golf course received substantial upgrades, and boasts a replacement 3,900 square foot state of the art club house, pro shop, full grill and bar with spacious patio, along with a state of the art 4,000 square foot cart barn. A 4,000 square foot Chevron Convenience Store/Fuel Station is also included as part of the Toka Sticks development.